Communion 2014 at One Small Child showcases a lovely range of white communion dresses for girls, featuring a variety of styles in rich satin, whisper sheer organza, and lightweight taffeta. Trimmings include pretty fabric flowers, glowing pearls, tiny hints of sparkling sequins, and dainty laces. The dresses are stunning on their own, but don’t forget the accessories! You’ll find beautiful veils, shoes, hosiery, jewelry and so much more on the site to complete her special ensemble (items not linked below will be available in the next few days!). It’s always fun to see our products in the settings they’re intended for. These sweet girls smiled and twirled and posed like pros, we hope you enjoy our Communion images as much as we did creating them for you! 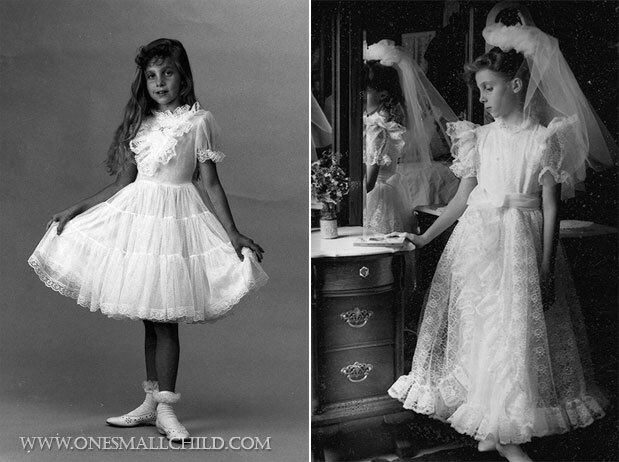 We have new first communion dresses available on the site today, with more to come in the next few days! 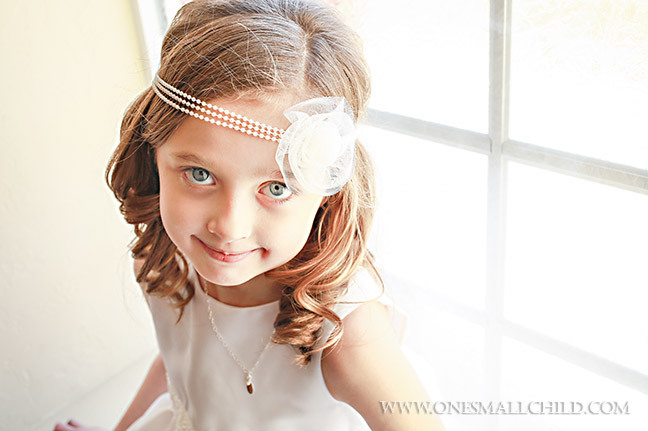 We’re adding our 2014 First Communion dresses and accessories to the site this week, and are excited to share our thoughts, ideas, inspiration and more on the blog while we’re at it. To get the ball rolling, let’s start at the beginning: planning a First Communion. We’ve provided the following printable checklist to help you get organized and on your way to a memorable event for your family. Simply click on the image, print, and get to it! We’ll talk about each of the tasks in detail below. Likely you’ve already been in touch with your church and have already been notified of the date and time set for this year’s First Communion event. Most parishes hold First Communion only once or twice each year, and the dates are set well in advance. Preparations for a spring First Communion often begin in October-November of the previous year. Religious education is a requirement of someone wishing to make their First Communion. It is your responsibility to make sure your child is attending the necessary classes. It’s also important for your child to receive reinforcement by your example as well as instruction at home, to help them understand the importance of what they are doing. Watch for teaching moments in the months leading up to the big day, and discuss what your child is learning with them frequently. This special event is a perfect time to gather the family and friends who have come to support your child and celebrate together! Here is where you get to make a bunch of decisions: do you prefer a simple gathering with a small refreshment? 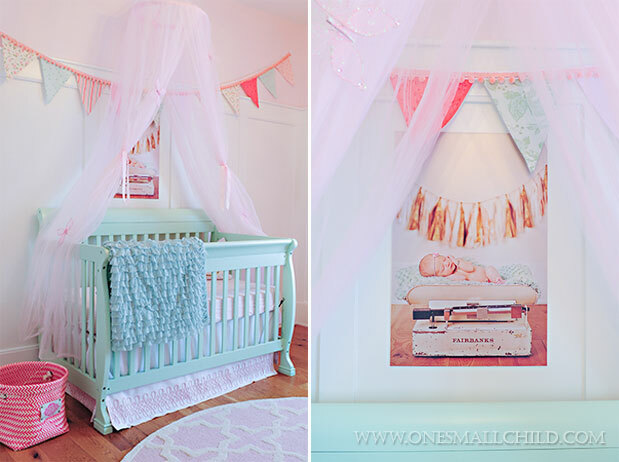 Or do you want to pull out all the stops and have a grand old party? Venue: where will your guests be most comfortable? Keep in mind that if you will be booking a location other than your home, it’s wise to do so far in advance to avoid scheduling conflicts. 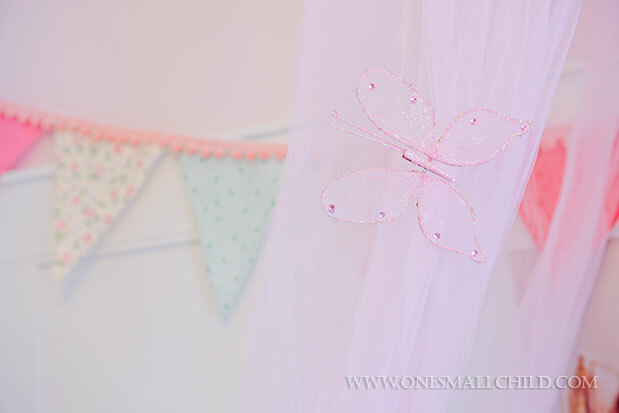 Theme/Colors: this is where your creativity can fly–anything goes! Pick an element that is meaningful to you or your child and build around it. The symbols of communion are a great place to start, or a favorite color, bible story, animal, etc. Check out our First Communion Pinterest Board for inspiration. 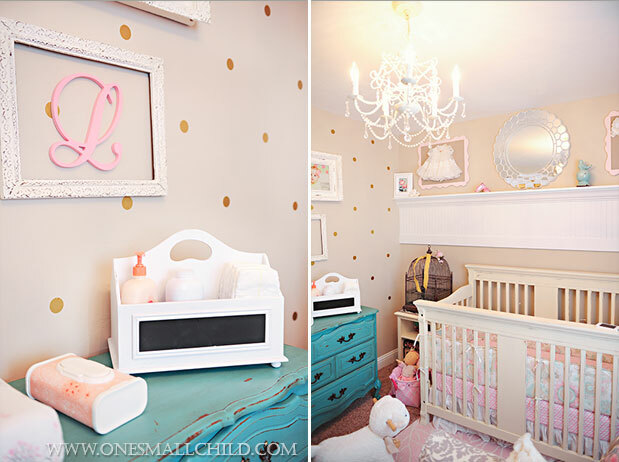 Decor: this is really an extension of theme/color, but it can be involved enough that it merits it’s own bullet point. 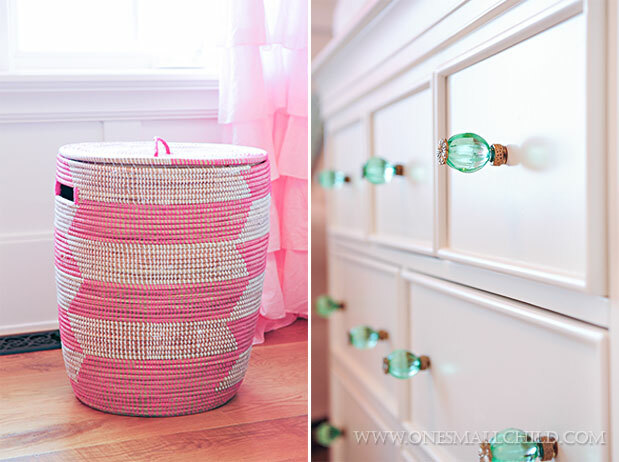 Can you use items you already have to decorate your space? Or do you need to shop for or make what you need? Even a simple gathering will benefit from some forethought here. Menu: will you be making the food or having it catered, or dining at a restaurant? 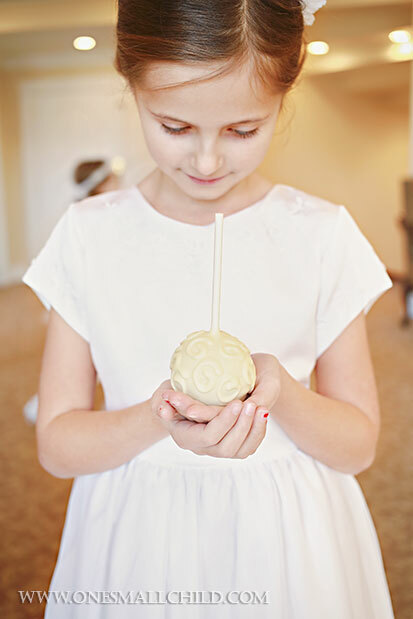 Will you have a traditional First Communion themed cake? Your theme and decor can help you with ideas for your menu. Don’t forget something to drink! 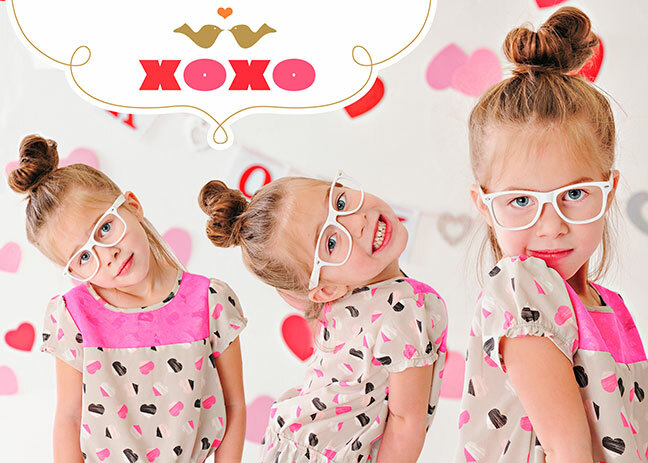 Whether you opt for a professional photographer, or a trusted family member, it’s important to make sure *someone* is in charge of taking photos of your child and your family through the event. It’s a process that can easily be forgotten in the hustle and bustle of the day, and it’s one less thing for you to worry about if you make it someone else’s job. It’s important to be sure such a special occasion is well documented for you and for generations to come. If you want a professional, be sure to book them well in advance! 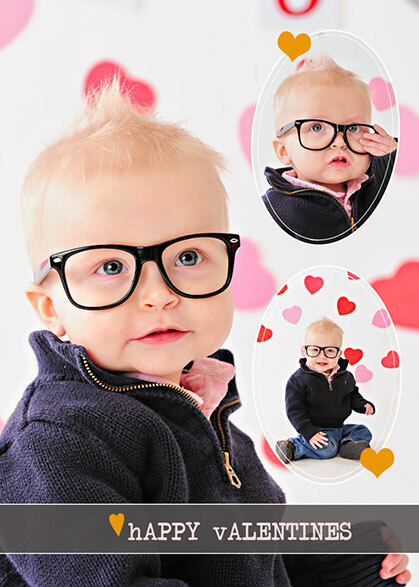 It can be very difficult to find someone available at the last minute.You may want to consider doing a separate portrait session of your child about 6-8 weeks prior to the event…these images are great options for invitations, thank you cards, etc. If you want to have a friend or family member do the honors, be sure they have suitable equipment and charged batteries! It’s a good idea to shop for First Communion dresses and suits at least 4-6 weeks in advance to ensure you have what you need in plenty of time. Many people begin much earlier to ensure availability. You’ll want to take into account your photography plans if you’re doing a portrait shoot before the event. Don’t forget all the accessories: will she need a slip? Does she want a veil or a simple hair accessory? Gloves (these must usually be removed during the ceremony)? Shoes and socks are important considerations as well. If you wish to present your child with a gift or two, it’s nice to give yourself enough time to be thoughtful in your choices. 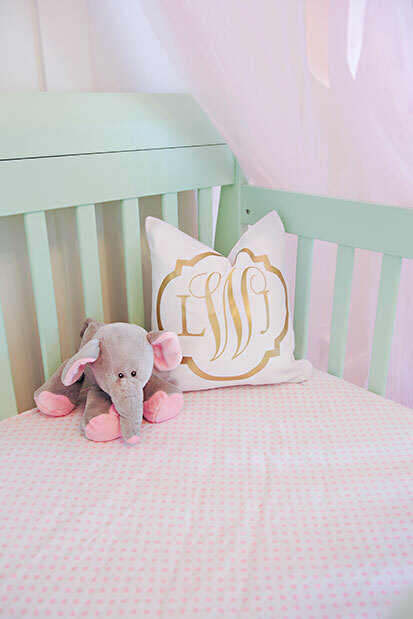 Be on the lookout for items the child might need, items that will promote his or her faith, or keepsakes that will serve as a gentle reminder of a special day. 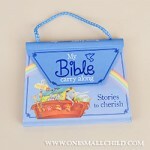 Great options are: personalized bibles, pretty rosaries, jewelry, frames for photographs. 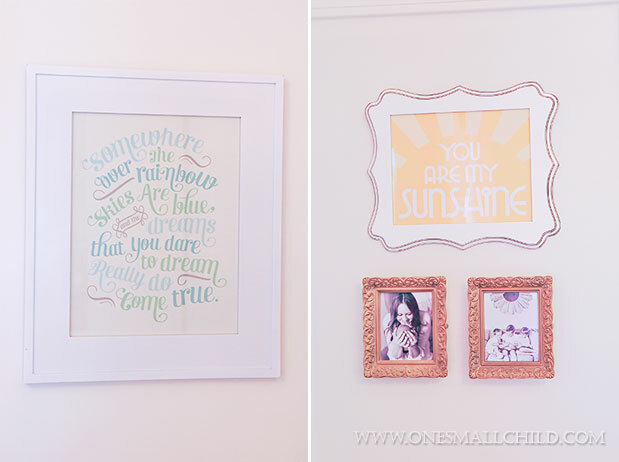 Take a few minutes to think about what kind of portraits you’d like to see on your wall. Do you want a formal studio setting or a more laid-back outdoor look? 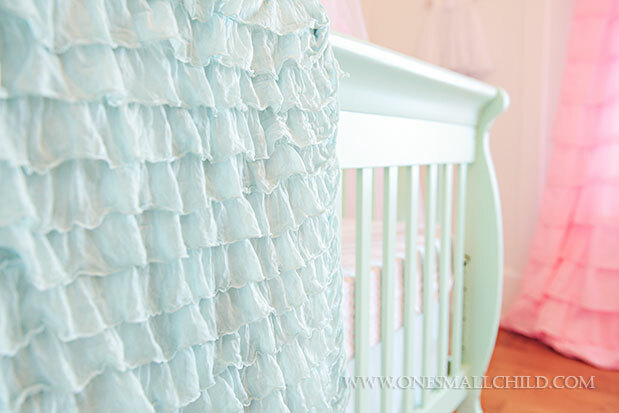 Stay tuned for some great inspiration photos coming later this week on the One Small Child Blog! Whether you have them printed or crafted or DIY, you want to have invitations in the mail 3-4 weeks prior to your First Communion. Some parishes require the children to create first communion banners. Be aware of any assignments your child will need to complete before the event. Before you know it, the big day will be upon you! It’s a good idea to sit down about ten days in advance and review your plans and identify what remains to be done. Clear a day or two in the week before the First Communion to devote to preparing your home or venue, gathering needed supplies, preparing any food that can be assembled ahead of time. Take a deep breath and enjoy the moment! 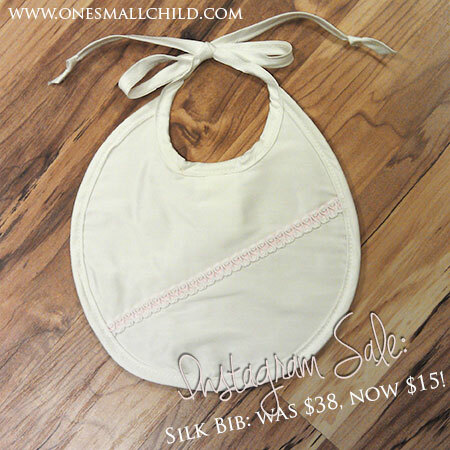 Once upon a time, there was a little girl whose mother started a tiny company, making beautiful dresses. 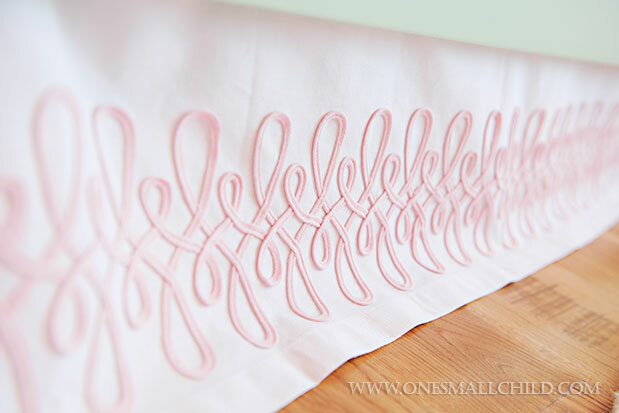 She often went to work with her Mama, spending countless hours playing amidst sewing machines, patterns, huge rolls of fabric and piles of lace waiting to be gathered into yards and yards of ruffles. 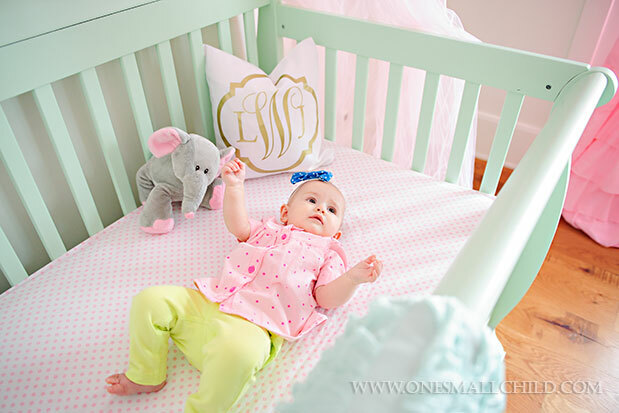 When she was big enough, she spent many hours in front of the camera, twirling and posing just so. I knew long before my babies first arrived that I wanted to share my love of reading with them. I can look back now and say I am so glad I took the time to hold them close and read to them often. 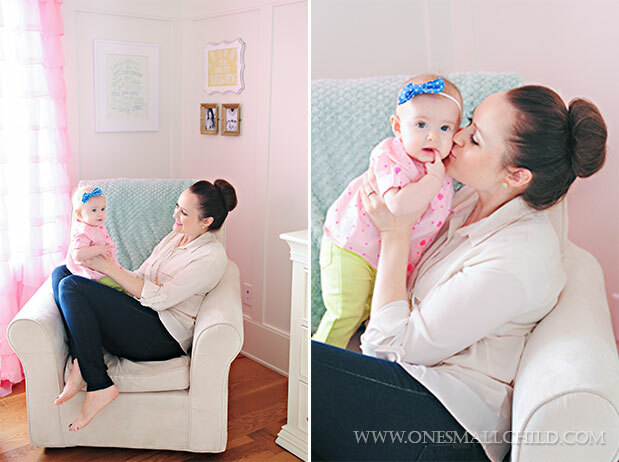 They are little for such a short time, and that first year of life is jam-packed with foundation building in so many ways. 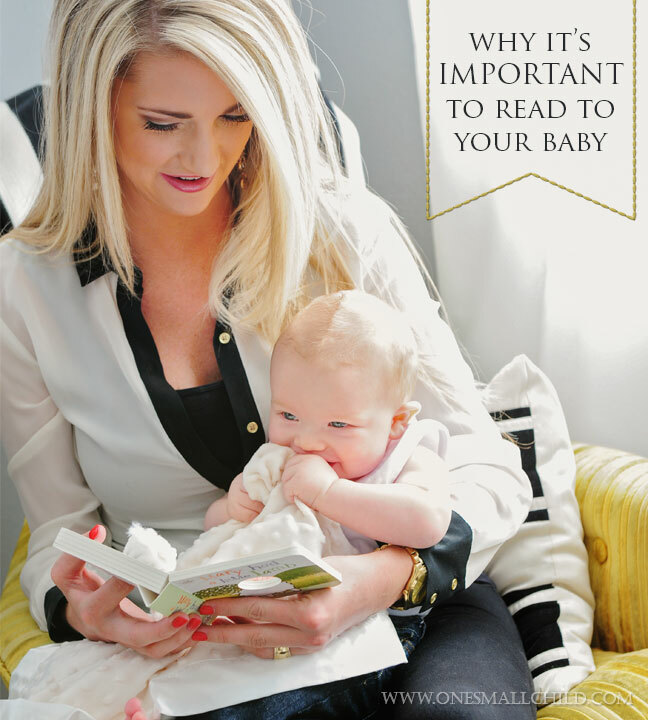 Relationship Building: holding your baby close and reading aloud helps your child feel safe. The protective feel of your arms, and the tones of your voice are familiar and comforting. 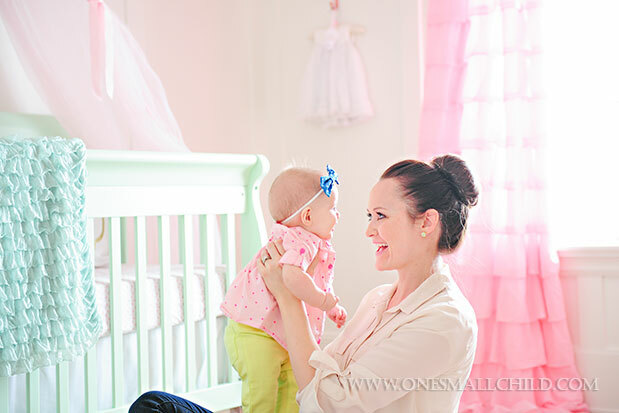 These moments help your child know they are cared for and responded to, creating an ideal atmosphere for Baby to focus on new concepts and experiences. Brain Development: a newborn’s brain is made up of billions of individual neurons (brain cells). As they learn and gain experience, connections are made between these brain cells. Research shows that children who feel loved and cared for have an easier time forming these connections, which are responsible for how information is processed and movement is expressed. Communication: your baby is learning from you at all times. Hearing your voice, the sounds of your language, the nuances of tone and emotion in what you are reading lays the foundation for their understanding of how words relate to objects, individuals and abstract concepts. Example: having positive experiences with books & reading will help your child associate reading with the good feelings they’ve had later in life. Taking the time to sit together and read shows them that reading is a skill worth learning and making time for. We’ve been adding to our product offering at One Small Child, and we felt it was important to add books for babies into the mix. Several of our new gift sets incorporate beautiful books, and we also have the following books available on their own…each features bright colors, fun words, and durable construction for your little one to see, hear, taste and feel. 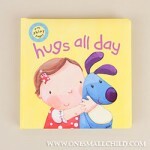 We hope they can be a part of your own child’s reading experience! 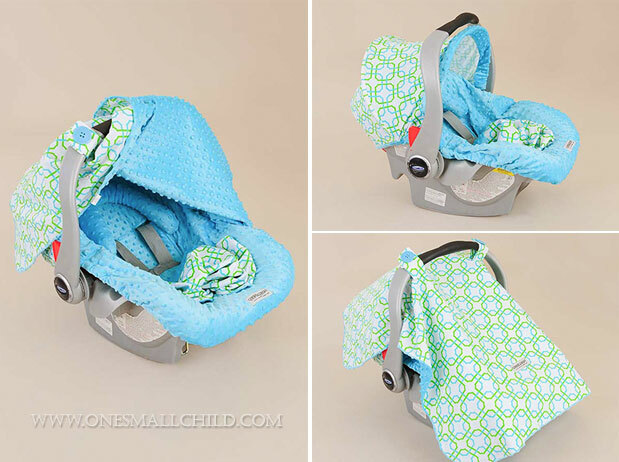 New Baby Gear Essentials: Car Seat Cover Makeover Kits! 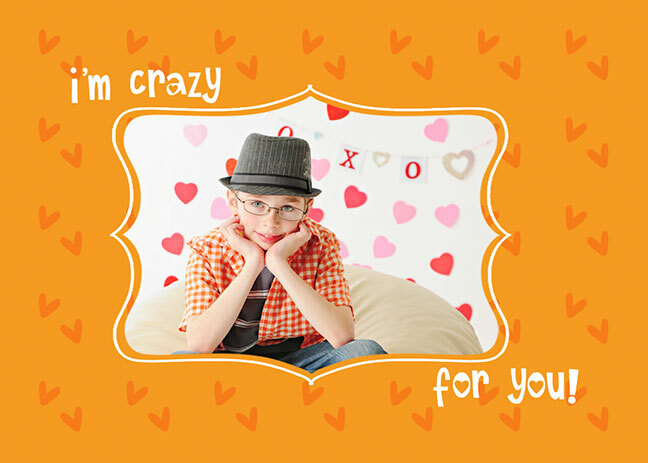 Family Friday: Happy Valentine’s Day! 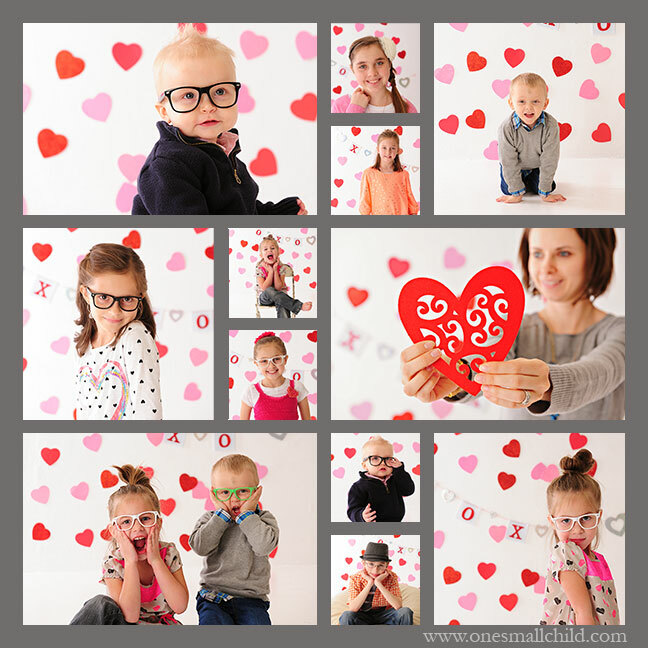 For the past few years, my sisters & I have been meeting together on a cold Friday in January to have a quick little Valentine’s photo shoot with our kiddos. It usually goes pretty fast and the whole crew of nine kids in one small space can get a little wild, but I love the snapshot of their lives it gives us. It’s becoming a sweet little tradition. 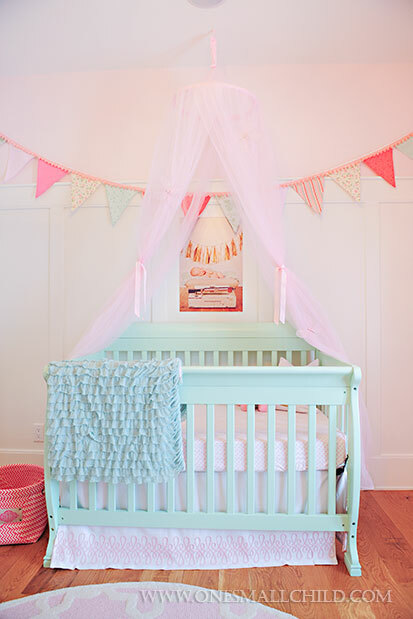 Thanks for joining us on our tour of Lyla’s fabulous nursery!